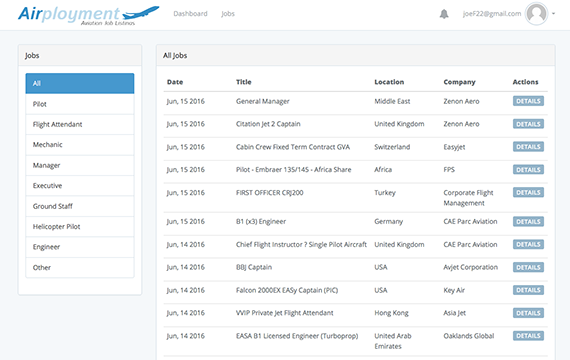 Start Finding Your New Pilot Job today. Free “How To Find A Pilot Job In A Turbulent Economy” eBook included with every membership. Filter jobs by state, total / multi time, and more. We post job openings in 8 categories. We search for Airline Jobs every day so you don't have to. We post jobs daily so you are always up to date on your job search. We offer a 30 Day Money Back Guarantee. Simply email us and request a refund. "I love the fact that every time I log in I see jobs that is a good fit for me. This keeps me from having to search everyday all over the web for jobs." "I have been using Airployment.com for close to 2 years now, and have been hired for multiple jobs found on this website. I won't cancel anytime soon!" Try Now! First 2 Weeks are only $1. 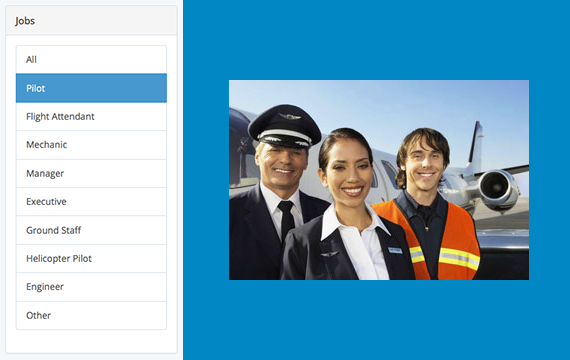 Sign up to view new airline jobs updated daily.